She’s 87 years old, our remarkable grandmother, living in Geneva in her tiny apartment. “Do you play Beaver Gang with me”, asked Big Boy. Big Boy explained the game to her. Very quickly like a fast train. One could hardly follow. They started. She didn’t know what to do, but she kept on, always smiling. “Now, you have to look at this card and exchange it with this one”, Big Boy tried to help, with a big smile on his face, too. Little Boy followed, amused as well. She didn’t give up, played until the very end of the game. Big and Little Boy contributed their part to the successful ending. 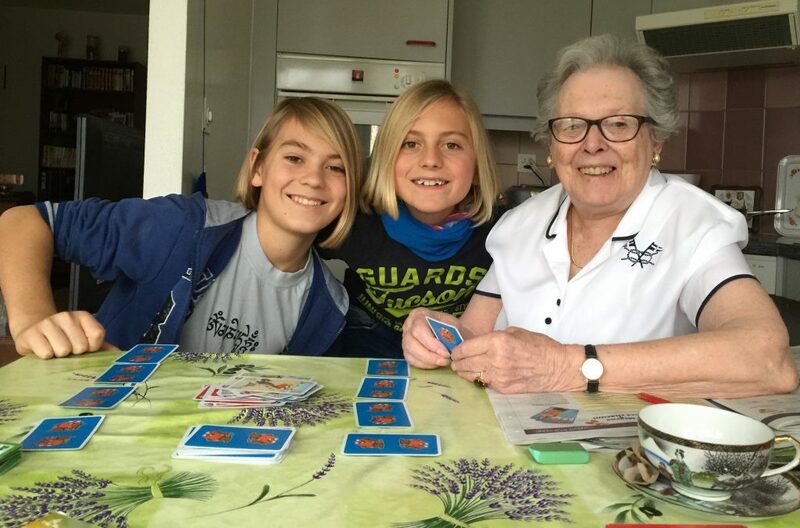 “What a funny game”, Grandmother concluded, although she didn’t understand all. The Boys wouldn’t have noticed what Grandmother has told me: It’s worth to say more “why not” instead of “no”.